The best way to build bigger and stronger muscles is through hard work in a gym. Most gyms or fitness centers have free weights and machines for building all major muscle groups. It is important to train all major muscles for a balanced and healthy physique. The major muscle groups include chest, back, shoulders, abs, biceps, triceps, calves and forearms. It is best to train certain body parts together, such as chest, shoulders and triceps or back and biceps. Train legs and calves once per week and abs three to five times weekly. In a gym, you are tearing muscle fibers down. You also need adequate rest for them to repair as well as protein. Therefore, your muscles actually grow when you’re at rest, not in the gym. The pump and size increase you experience in the gym is from lactic acid build-up. Protein and amino acids are one way to build muscles. You can also take certain herb supplements as well. These herbs are usually come in various extracted forms, including leaves, bark, roots, flowers, stems and seeds. Some help with the muscle-building recovery process, while others increase testosterone levels. Testosterone is a male hormone that helps increase muscle size and strength. One herb that helps during the recovery process is Ginseng. This herb is considered an adaptogen, according to Bodybuilding.com. That means it can be taken in large amounts without adverse symptoms. Stick to the recommended amounts on the bottle, however, whether you are taking it in capsule, powder or tablet form. Another effective herb for bodybuilding is ashwagandha. This herb comes from India and is adaptogenic as well as anabolic. In other words, it can greatly enhance muscular development. Another key benefit of ashwagandha is that it is known to greatly enhance energy levels. Energy is also needed for muscle growth. You also need energy to endure an arduous workout routine that effectively builds muscles. Ashwagandha has been used to test the endurance of lab mice while swimming. The mice swam longer using ashwagandha than Ginseng. Cat’s Claw is an herb that helps increase immunity. Those who work out need to stay health during winter and flu seasons to maintain their workout regimens. This supplement can also help inflammation from tendinitis or muscle pain. Citrus aurantium is an immature flower that grows with the green orange in China. This flower herb is known to boost energy levels. It also helps you assimilate proteins, vitamins and minerals you get from foods, which enhances muscle growth. Additionally, citrus aurantium works in the body like ephedrine, which can help you burn fat and lean out. Yohimbe bark, sarsaparilla, maca root, tribulus terrestris, muncuna pruriens, Tongat ali and horny goat weed are all testerone enhancers. Most are known to increase testosterone levels, as they have been tested in clinical trials. 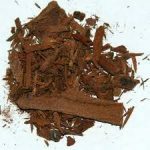 Years ago, doctors primarily used Yohimbe bark as a treatment for male impotence. The difference in using these herbs and steroids is that they only increase testosterone levels to the maximum level you had as a youth. The herbs are not synthetic or man-made, which can increase testosterone levels above and beyond natural levels. Still, it is best to use these supplements as directed by the manufacturer. Many herbs that increase testosterone are grouped together in certain supplements. These herbs can help your overall health, as testosterone is known to be a natural healer. However, always use these products in moderation. And stop using them if you experience any adverse symptoms, including dizziness, headaches, profusive sweating or flu-like symptoms. Find the combination of herbs that work best for you, even if you use these substances by themselves.